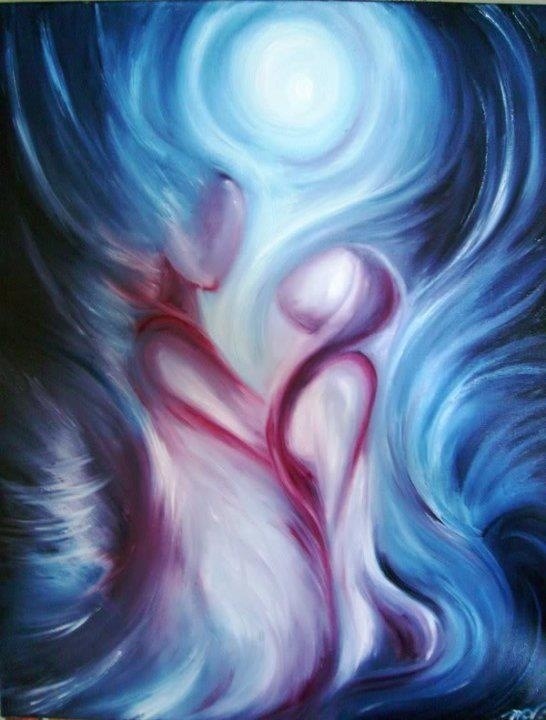 Is it required that twin flames meet young? I feel I met mine when I was 53 and he was 49. I’m married to someone else and he’s single, never married. We met online and live in different states but as it turns out, growing up we lived 10 miles away from each other. I am still trying to figure out if my love is my TF…we met as kids in high school, best friends, but nothing ever happened between us, tho I had a phenomenal crush on him. We separated after hs, but I never forgot him. Fast forward 30 years, with the advent of social media he found me within weeks. He pursued me for years, I resisted and wouldn’t acknowledge his underlying advances. Long story very short, we were occasionally in touch, then we had a fight and it was 9 months before we spoke again. We had lunch on 11.10, then he texted on 11.11, which is when WE began. Our relationship is platonic but intense. Where before, he chased and I ran, now he’s running. Then returning. Then running. While I patiently go on with my own life. We are so opposite in so many ways, but so complementary in others. I would describe us as not perfectly matched. It is exhilarating, but confusing. I’m exhausted from his running and returning, and I think I am at peace with the idea of letting him go, becuz I don’t just think, I know, and I feel to my core, that he will return when he’s ready. Am I right in my TF assessment? I’m trying to figure out my situation. I think I have found my twin flame. I met him a year or so ago. I was in an emotionally abusive relationship and had tried to kill myself before we met because I was angry at myself. Then he came into our lives, he was in the middle of figuring out his marriage, seemed like he had chosen divorce. But was also in the middle of talking to an ex at the time. Myself, my partner at the time, and my believed Twin, all tripped molly together one weekend, My Twin asked if I could rub his back since my partner didn’t want to. I agreed, I felt a surge but figured I’m just tripping. The moment I touched him it was like nothing else. My Twin and I were chatting over social media the rest of the night while in the same room. For obvious reasons. My Twin decided we should trip again the next night, he kissed me while my partner was out of the room. Remind you, he is currently talking to some other girl. That kiss was unforgettable. We decided to see where it leads promising the truth to each other at all times. His love interest slowly backed away while he still attempted contact with her. Found out later she cheated on him. I left my partner days after this crazy weekend. I saw something in my Twin that I had to follow. It could not be explained. here we are a year and some time later, we ended up living together and getting a dog together, but throughout this relationship, I have made up small petty lies out of fear, and later I found he had as well. But we always knew when one or the other was lying. My intuition was heightened in a way, I always knew when something was up, and still now. He and I argued when this crap would happen, but would end up together in the same bed cuddling at the end of every night. About 4 months ago his dad had a serious heart surgery in a different state, and he felt like he had to go. it might be the last time he sees his dad. I was reluctant, but let him go anyway. There’s no real way I could actually stop him if I wanted, I was scared he would never come back if he left. He’s visited twice since then, most recently took the dog with him. Right now, he has told me he’s not sure if he’s ready for a relationship of any type. It hurts because it feels absolutely wrong. I found out through means of social media, that he’s recently reached out the girl who cheated on him at the beginning of our relationship. The one girl I asked him not ever speak to. I truly believe he is the mirror to my soul, I always thought I sounded crazy when I said to myself that when I look at him, I see myself. but recently, I’ve happened upon one too many articles pointing at Twin Flames. I started to research some more about it, all the while, I was seeing 11:11 everywhere. it wasn’t until a couple days ago that I learned that 11:11 can be associated wth the Twin Flame relationship. I always thought it meant your higher-self was trying to communicate. So I started looking at way to center myself, maybe meditate. But when I found out about him talking to her, I reached out to her under false name telling her to leave him alone. and that’s when I found out he reached out to her. I’m driving myslef crazy trying to figure this out. Everything seemed fine, rocky but ultimately okay. So I thought. Please. I need to know if any of this applie to so sucha crazy union.